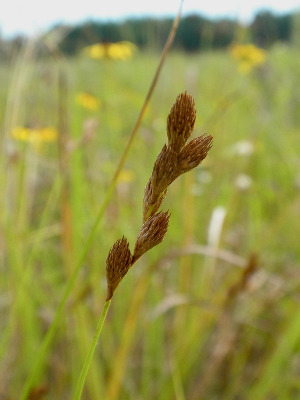 Moist open ground: sandy shores, stream borders, meadows and wet fields, borders of swamps, thickets, ditches, marshes, temporary ponds in forests; rarely in dry sand or peaty ground. A common species, but mostly in sandy, and often acidic soils. MICHIGAN FLORA ONLINE. A. A. Reznicek, E. G. Voss, & B. S. Walters. February 2011. University of Michigan. Web. 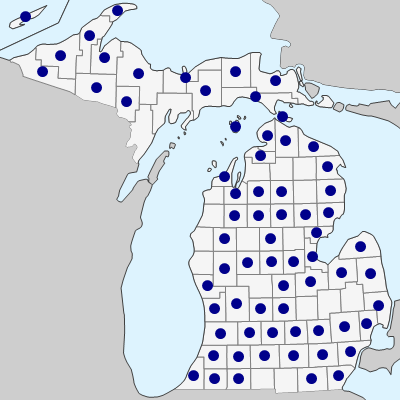 April 21, 2019. https://michiganflora.net/species.aspx?id=1047.